One of the things that I think most people worry about when coming to live here is whether they are going to come face to foot with an 8 legged killing machine the moment they set foot on Aussie soil. First off, to determine whether you can actually handle living in a country with some of the world’s most deadly spiders, answer the following question. If you answered B or C then you will do just fine. If you answered A, then you are without a shadow of a doubt a fully fledged arachnophobic, and would do best to give this country a wide berth. So what is fact and what is over hyped fiction about Perth’s 8 legged lovelies and are they really as scary as their reputation suggests? Fact. There are some species of spiders here that do have a deadly nip about them, some that can cause flesh to rot and some that could probably induce a heart attack if you should ever come face to face with one when climbing out of the shower. Fiction. It is highly unlikely that you will often come into contact with such spiders and even less likely that you will be charged down by such a man eating monster, with fangs at the ready and a body the size of a small elephant, as you wander through the shopping malls and quiet streets of suburbia. 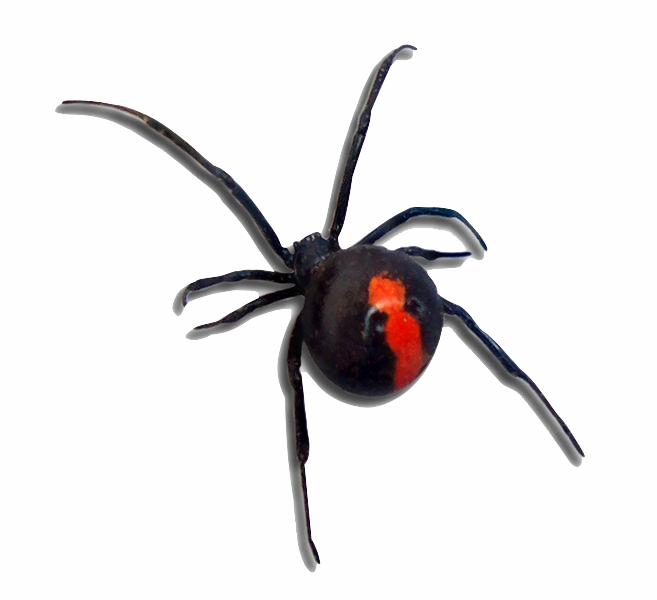 The most ‘infamous’ of all spiders here in WA is the ‘Red back‘, with a body no bigger than a 5p coin and its distinctive red stripe on the females back (the male is back all over). The bite can apparently be nasty, excruciating if the female in question happens to be pregnant. That can be understood and forgiven, pregnancy can bring out the worst in anything. While they are deadly, these spiders seldom venture inside the house, preferring dark, damp places like sheds, garages or piles of logs. An antidote is available from pharmacies should you be bitten and more reassuringly still, there hasn’t been a death since 1953. The other spider in question, and probably the one that worries me more is the ‘White-tail‘ , a small spider with a cigar-shaped body and a white tip. They have a very painful bite and their venom can literally rot away your flesh if not treated in time. Babies and old people are more at risk, but once again, an antidote is readily available and while they do sometimes venture indoors, they will not actively hunt you down to attack. Leave them alone and they won’t bother you. If you are wondering “But how will I know if one has bitten me?”, then I think it can safely be said that you WILL know. The pain level is meant to be up there with childbirth (so a male doctor claimed). So I don’t think a bite would be something you would overlook until it’s too late and all of the meat on your leg left has fallen off the bone. If in doubt, take yourself off to the pharmacy/doctor/hospital and tell them something with 8 legs bit you. The ‘Wolf‘ and the ‘Huntsman‘ spiders are not dangerous, except if you are prone to high blood pressure and panic attacks. The Huntsman in particular can grow up to the size of a small child’s hand. While I would certainly never want one around the house, they are in fact great for having about as they eat red backs and other annoying insects. Personally I think I would prefer to invest in some bug spray rather than have a house guest that is big and hairy enough to require it’s own set of towels and a face flannel. A few years ago a Huntsman spider actually caused a pile up on the freeway in Perth. When a woman lowered her sun visor to block the sun in her eyes and had one fall out and land on her, she understandably freaked out, lost control of her car and crashed. – Note to self, must tap my visor several times before getting in the car. So yes, these spiders that you have heard about are out there, but more often than not they are out of sight and out of mind. Unless you live out in the bush or in a more rural setting, you will rarely see anything that might cause you any grievous bodily harm. The same goes for the snakes. It is actually the mere idea of these spiders that can be far more scarier than the reality. When you first arrive you tell yourself that you will check under every toilet seat and sofa cushion and never put on a shoe without beating it half to death against a wall. After a bit however you start to relax and eventually get to a stage where you merely study the web briefly (a red back’s web is very ‘messy’) before you hang out the washing next to it, shake your gardening gloves before putting them on and occasionally wash your hair with one eye open, should that watching spider suddenly take it upon itself to jump under the water with you and start loofahing down with your exfoliating shower gel. Of course I know they are out there. 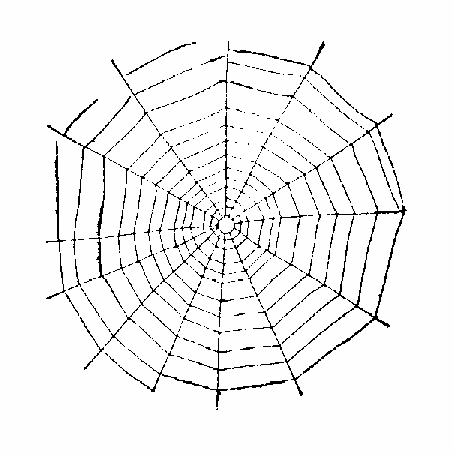 That much is evident by the large number of webs that appear daily around our garden. One web out by our drive stretched out a good metre and a half between 2 trees. It looked just about strong enough to ensnare next door’s cat. Wishful thinking on my part, bloody thing mercilessly teases the dog, makes him bark and gives me a headache. Now I know for a fact that this particular spider is fairly hefty in size, as it went through a stage of base jumping out of the tree every night and using my car wing mirror as a landing point. When returning home one night I caught the spider in the headlights ‘mid jump’ and was forced to crawl across the car and out of the passenger door to avoid a face to face meeting. On the upside, these webs that drape my window and door frames like old fashioned net curtains, make brilliant fly and insect catchers. After spending a Spring in Perth I have quickly learned to make firm friends with any creature that includes ‘fly’ in it’s diet. Just one more interesting spidery fact. The most poisonous spider of all in WA is actually one that we have in our houses all the time, swinging from the coving and light fittings and never causing us a moments alarm. The ‘Daddy Long-Legs’ (similar to a UK version but with no wings) is, believe it or not, the most venomous of all. But with fangs too blunt to pierce through human skin it is rendered completely harmless. Just as well really, otherwise I would have to make more of an effort with the dusting, something that I seldom ever find the time to do. This is funny. I have to say I am a fully fledge arachnophobic. I have heard about Huntsmans hiding behind the sun visor and I always check before I get into the car. The car park for our unit is under a big tree and several times last winter at night opening the back door we have found a huntsman climbing in. Thank goodness my husband was there both times. The worst though was one day in the pouring rain there must have been huntsman hiding under the car because we drove through a couple of puddles and suddenly two big hairy spiders appeared from over the bonnet and ran up the windshield. I screamed and closed all the vents to the car. And put my feet up on the seats (don’t know why). Thank goodness my husband was driving or I would have crashed the car. I have sprayed the car hundreds of times since with barrier spray. A few weeks ago I came back to the car after being at a tiny sign class with my daughter and there was a huge huntsman under the visor which goes around the outside of the side windows. I was so freaked out I took my daughter back to the class and left her with a couple of the other mothers while I got a broom and went back to the car ready to do battle. A guy in the car park saw me thought it was funny and flicked the spider off with his hand. It was half dead thank goodness because of amount of spray on the car. I was still paranoid when winding down the window to put the carpark ticket in the machine in case it had a mate ready to run into the car. We are moving a couple of weeks we will have a lock up garage, I am going to put the car in there and let of several insect bombs to make sure there are no more! Being an ex-Bunbury WA farmers daughter I am very familiar with the “wildlife” so found it somewhat reassuring to meet a redback and a huntsman on arriving in Sydney NSW. Feel right at home. Like yourself, I prefer to leave the fly catching to the spiders and allow webs to remain where they are during the BBQ season. When I lived in Sydney we came across a huntsman scuttling across the wall that nearly induced heart-attack in myself and my English housemate. We waved a broom in the general direction of this monster, leaping backwards in a most cowardly fashion every time it made a dart somewhere. Eventually it disappeared into a crevice and we never saw the thing again, but not a creature I would be happy to share living space with any time soon.